Second, the fact that the ballots opened less than a complete month into the season (I’m 99 percent sure of this) is absurd. If I vote — I usually do — it will be in the last few hours before ballots close. As should everyone else. How else can you best judge the best possible group of All-Stars? That’s why you won’t find a single link here to vote until July. I plan to keep you updated on the voting as the results pour in, but I won’t post my ballot until the last few hours before it closes. I’d like to re-post something I wrote last year for my final point on the All-Star Game. Nothing’s changed. Of all the rules in baseball that could be changed (instant replay, realignment, etc. 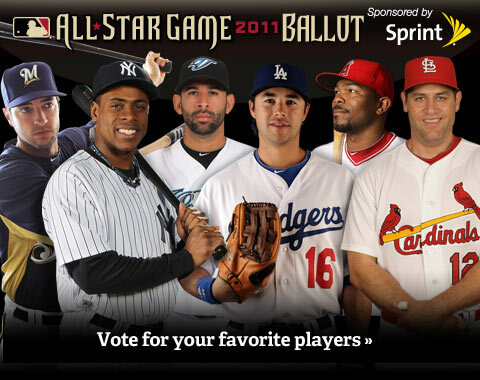 ), the All-Star Game’s meaning is the most disturbing to me. The fans’ vote turns into a popularity contest, automatically generating snubs, but the game’s outcome determines home-field advantage for the World Series. Even MLB.com admits more-deserving players don’t get selected year after year. Evidence? Above is a snippet of an article’s headline from MLB.com. By saying “inevitably” it proves MLB knew the system was flawed before the vote, but still didn’t change the rule. With a fan vote, the All-Star Game should have no meaning and the team with the better record in the World Series should get home-field. I’d love to hear someone refute this point in the comments. Again, I’d love to hear someone refute this point in the comments.